It’s no secret that we love creative dramatic play, and sincerely believe it is one of the best ways for children to learn and grow in preschool. Our basic dramatic play set-up is a housekeeping center, but we like to change it for a week or 2 every month to keep things exciting. 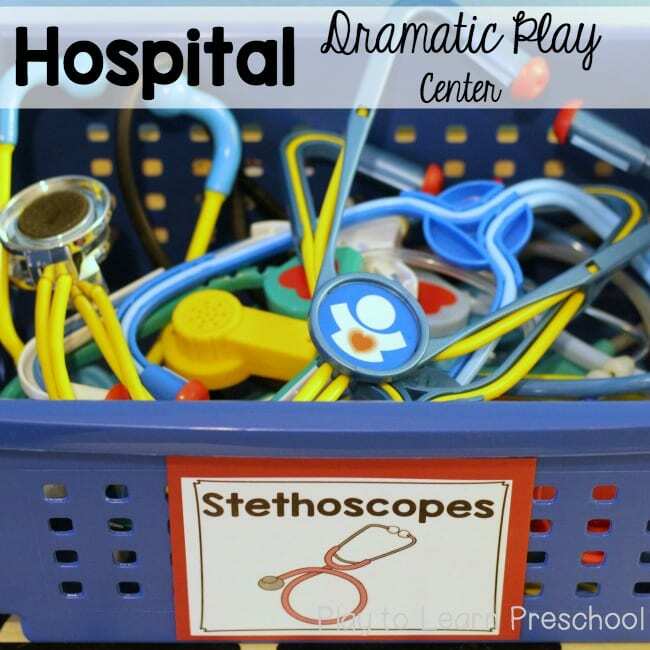 Here are 16 of our very favorite Dramatic Play ideas. Children can bake and sell goodies at their very own Cookie Shop. Our favorite part of this center was the simple bookshelf that we transformed into a double oven! Click on the picture below to see all of the photos. Transformed trifold science boards into a straw house, a stick house and a brick house for an adorable version of the Three Little Pigs. Preschoolers who can memorize and act out stories will have great comprehension skills when they get to school. We also love to act out Goldilocks and the Three Billy Goats Gruff. Click on the picture to see our entire production. Chocolate and mint ice cream with cherries on top… coming right up! Preschoolers love to scoop and sell this summer treat to their friends. Click the photo to see how we set it up. Ask your preschoolers to save and bring in all of their empty recycling containers, then use them to set up a “Shop Smart” grocery store. It’s guaranteed to be one of their favorites. Click on the photo below for simple step-by-step directions. This classic dramatic play center is another one of our favorites. We like to set up a hospital with a triage cot, doctor costumes and lots of props. No explanation is needed! This is one of the centers (like the grocery store and the restaurant) that the children are usually very familiar with. They love it when we call them “Doctor”! Click on the photo for more pictures of the set-up. Can we take your order? 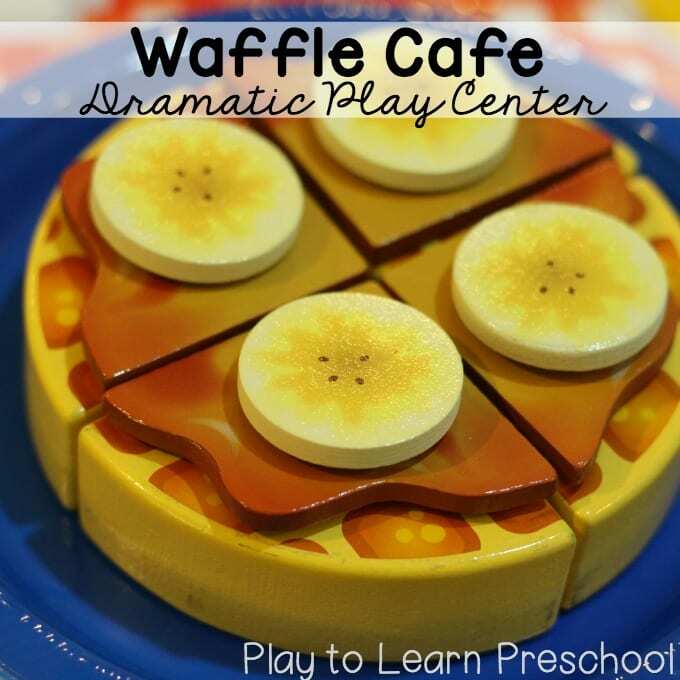 The restaurant dramatic play center is chock full of opportunities to practice reading, writing and teamwork. Click on the picture to see the menu and ordering forms that we like to use. We put on our paleontology hats and look for dinosaur bones and footprints at this dramatic play dig site. Click on the picture to see how we used a simple ingredient from the craft store to turn our sensory table into an excavation site. Preschoolers love to pretend to take care of babies, and it such an important lesson on how to be caring, gentle and loving. The best part is, most of the supplies are probably in your play room at home. This dramatic play scenario is a little more complex than the others, but it is hands-down their favorite one. The Airport is the center that my students come back years later and ask about. It’s the one that my own school-aged kids will play with for hours on end. It is a blast! Click HERE and HERE for more pictures. If you’re looking for a quick set-up, cheap center, this is it! We got all the supplies from the dollar store and added water. It’s great for summer, too. Take those kids outside and put them to work! Setting up a flower shop is the perfect dramatic play scenario for spring, Valentine’s Day or Mother’s Day. The preschoolers count and add flowers in their bouquets and practice tying bows (or knots!) with ribbon. Click the picture to see how we set it up in our classroom. Make a brick oven from a cardboard box and a roll of “brick” wrapping paper. Preschoolers will make pizzas, and order pizzas, and deliver pizzas, and pretend to eat pizzas ALL.DAY.LONG! Would you like a taco or a burrito from our very popular Mexican restaurant? Preschoolers will take your order then create the taco or burrito of your choice. Whether you’re setting up a plain restaurant, a pizza parlor, and ice cream parlor, or a taco stand, here’s a surefire FUN way to spice it up. Add a fountain drink machine! You can use a box or a bookshelf with just a few simple additions (paper cups and tissue paper) to make it extraordinary. Click on the picture for more details. Do you students love to reread the books that you share with them in class? Set your dramatic play area up as a Library. Allow them to “check out” books with their very own library card and return them to school the next day. What’s for breakfast?! Add the pancake and waffle sets (available HERE and HERE from Melissa & Doug) to your kitchen and fire up the grill. Children will love the custom menus and all of the toppings for their delicious breakfast. Do your kids like to pretend or role play? What is your favorite way to set it up? Whatever it is, I hope that you have tons of fun playing and learning with your children today. 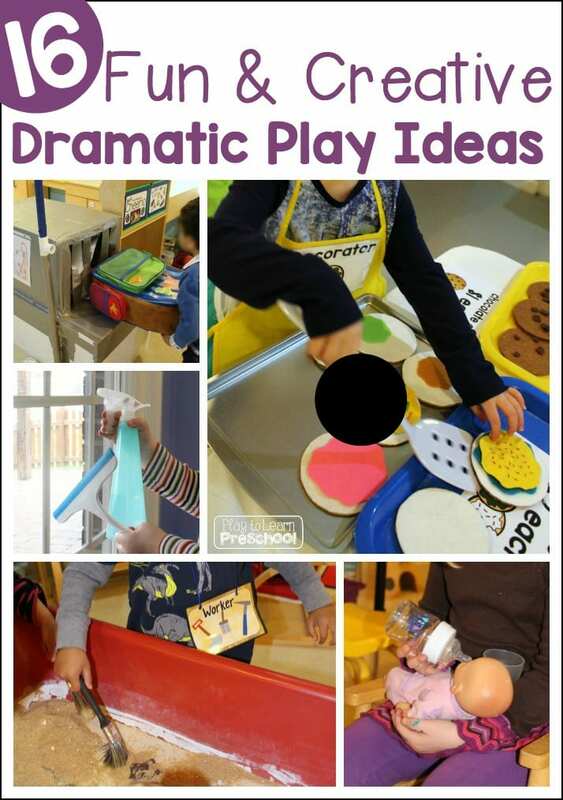 Be sure to follow my Dramatic Play Pinterest board for even more great ideas. 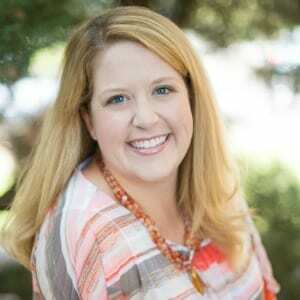 Follow Play to Learn Preschool’s board Dramatic Play Preschool on Pinterest. Hi, is your “brick” oven made from 2 boxes that are stacked? I see that the oven rack and candles are placed on a flat surface and wondering how you created that? It’s just 1 normal sized cardboard box sitting on top of our normal oven furniture. Hope that helps!